That is what we are focusing on this week. Prime Speaker Vannifar, newly printed in Ravnica Allegiance, has been seeing modest success in Modern lists heavily featuring a combo kill centered mainly around Kiki-Jiki, Mirror Breaker shenanigans. People are trying to answer the question "Can Vannifar be broken?" And yes, untapping with a one drop and Vannifar in play against an opponent with no interaction will lead to a victory. Vannifar the one drop into Scryb Ranger. 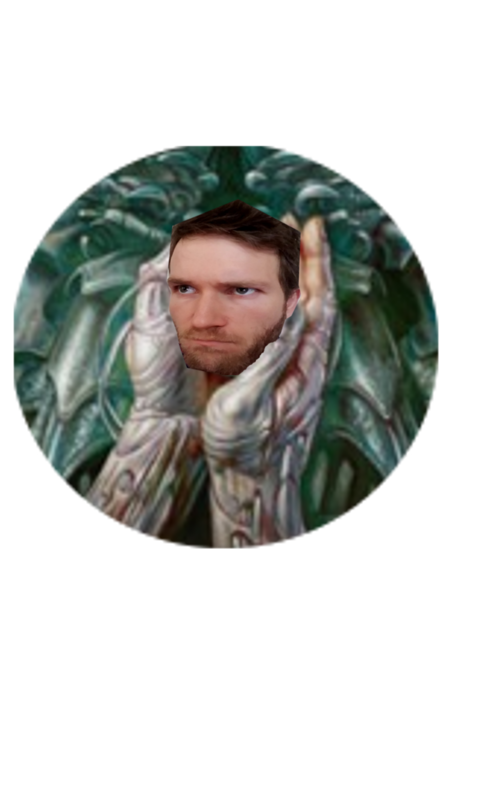 Scryb, untapping Vannifar, into Renegade Rallier returning Scryb. Scryb, untapping Vannifar, into Deceiver Exarch. Sacrificing Rallier into Restoration Angel blinking Exarch. Untapping Vannifar into a sacrifice of Restoration Angel into Kiki Jiki, targetting Deceiver Exarch for the infinite loop. #SplinterTwinFlashback. Did you get all of that? You wouldn't be the first to think that particular loop is rather rigid and fragile; a true glass cannon. Is there perhaps a more flexible way to Vannifar? I created this list with heavy inspiration from Jacob Wilson's Birthing Pod list from the 2014 World Championships, with the goal of the deck being FLEXIBILITY. I wanted to try and be as good against non-interactive deck as I was against interactive ones, with an emphasis on minimizing dead draws. I view this version of the deck as a direct growth from the old Birthing Pod lists and, since Siege Rhino was directly mentioned in Wizards' Birthing Pod ban announcement, I figured maximizing my Rhino draws was the best place to start. After that, I made sure to not ignore some of the best Pod targets printed recently in Renegade Rallier and Knight of Autumn. To top it off and shore up our non-interactive matchups, there's an almost incidental combo kill to shoot for in Archangel of Thune and Spike Feeder. These create a loop making both your life total and your creatures infinitely large. Not to mention having access to Eldritch Evolution is toolbox nitrous in itself. What surprised me most about this list was that, aside from the sideboard and some small shaves here and there, it stayed virtually identical to my initial brew. The deck just kept winning. It turns out having access to a ton of incidental lifegain and some extremely flexible creature-based answers -- Deputy of Detention does a lot of work -- gives you a decent shot against the entire Modern field. This deck has a ton of potential as a malleable answer to a shifting metagame; there are just so many great situational cards you can either side into or run maindeck when the meta calls for it. Thanks to the toolbox nature of the deck with Vannifar, Chord of Calling, and Elditch Evolution, you have many virtual copies of every card in your 75. If you feel unprepared that's likely your problem as a metagame prognosticator (both the best and worst part of decks like these). Going forward keep an eye on any creature printed with a 1-5 converted mana cost in any combination of Green, White, Black, or Blue -- think stuff like Angel of Sanctions -- and an even keener eye on the metagame. This is the kind of deck that rewards astute metagame predictions so, if you have a read on your local metagame, trust your intuitions and build with that in mind. The core of the deck shouldn't change too much, but I could definitely see shifting the number of literally any maindeck or sideboard card if the meta dictates it. Flexibility isn't only the current key to the deck; it's the key to the deck's future. Do you need to Vannifar into Thought-Knot Seer? Add some Brushlands and go wild. Is Huntmaster of the Fells or Nicol Bolas, the Ravager randomly the best cards for the format? You know what to do. Is Storm everywhere? Go full shields up with Thalia, Guardian of Thraben, Lodestone Golem, and Eidolon of Rhetoric. Is Tron your worst nightmare? Avalanche Riders, Fulminator Mage, and Realm Razer all have your back. Notice how many of these creatures aren't in that decklist up there; I either tested or deeply considered each of them for this build. The creatures are there in Modern to pretty much solve any problem you have, and that's both the hardest and greatest part about the deck. With this much flexibility in both deck construction and play, it's easy to get lost in the weeds about the "correct" number of each card in your 75. Trust your intuition and have a clear plan of attack for whatever event your entering in. For me, it was to prove old school Pod still has what it takes to compete in today's Modern. If you watched the video up, you know what this deck can do (even in spite of a few punts from yours truly) with that old school slant. Those same bones can win with an emphasis on Kiki Jiki combo. If that doesn't prove Prime Speaker Vannifar is a viable and flexible card to build around in Modern, I don't know what will. LordTupperware's getting all mushy about having a great new deck that reminds him of Innistrad's Spider Spawning.